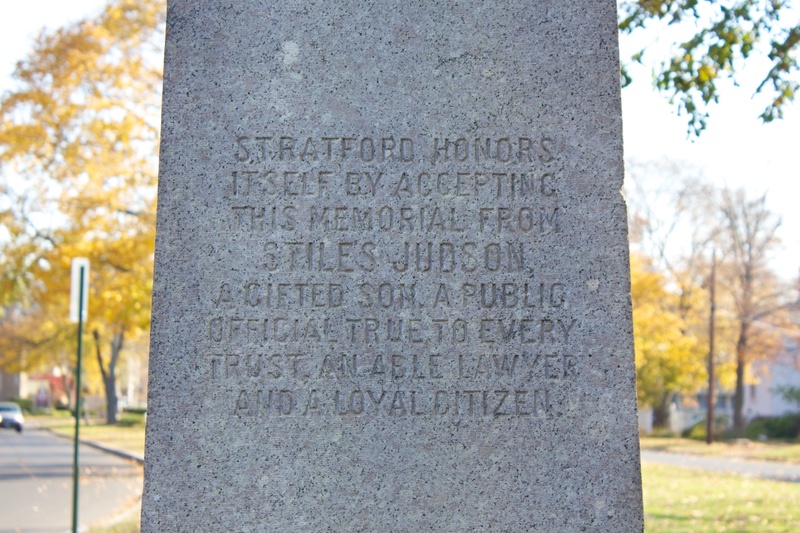 The fountain on the West Broad Street green in Stratford honors state legislator and attorney Stiles Judson. The fountain, which was dedicated in 1916, included drinking troughs for horses on its sides, and troughs for dogs on its front and rear faces. 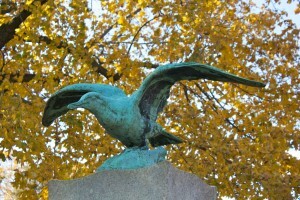 The fountain is not active today (the troughs contain water, but you wouldn’t want to drink it). 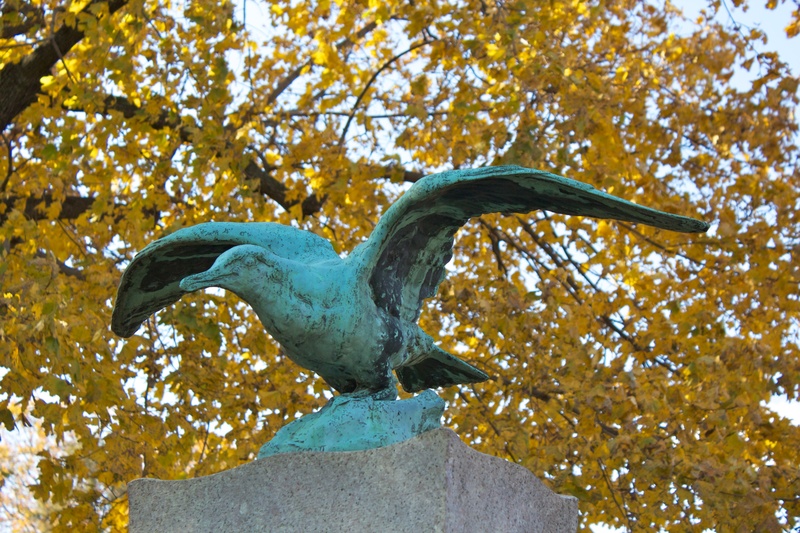 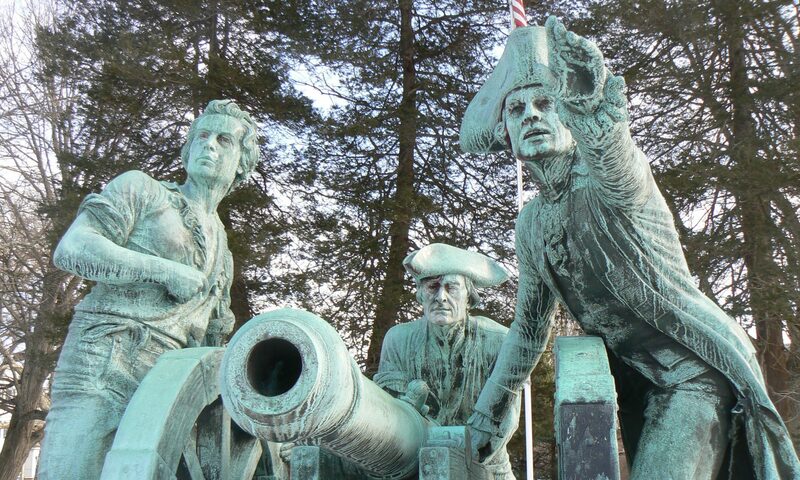 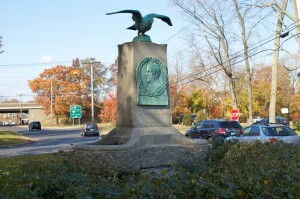 The fountain was designed by sculptor Bela Lyon Pratt, whose other works include the Nathan Hale statue at Yale, the Andersonville Boy monument on the grounds of the state capitol, the Hive of the Averys monument in Groton, and a number of other works. 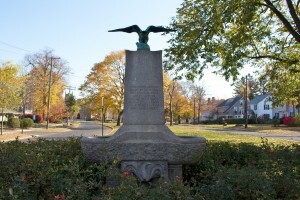 When it was dedicated, the fountain stood at the eastern end of the green, directly across from St. James Church. 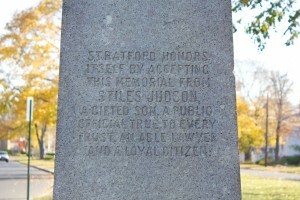 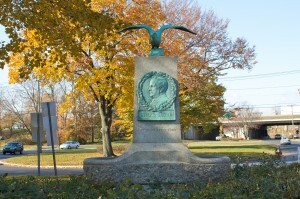 It was moved to the western end when Stratford’s War Memorial was dedicated in 1931. Stiles Judson (1862-1914), was a Stratford native who practiced law in New Haven and Bridgeport. He served as state’s attorney for Fairfield County, and represented Stratford for several terms in the state House of Representatives and Senate. 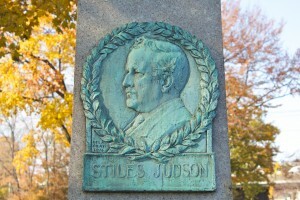 Judson financed the construction of the fountain honoring him with a bequest in his will. 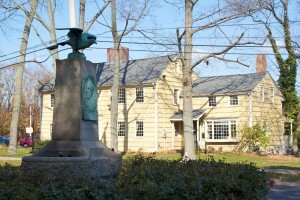 Pratt was paid $5,000 for the fountain (nearly $100,000 today). 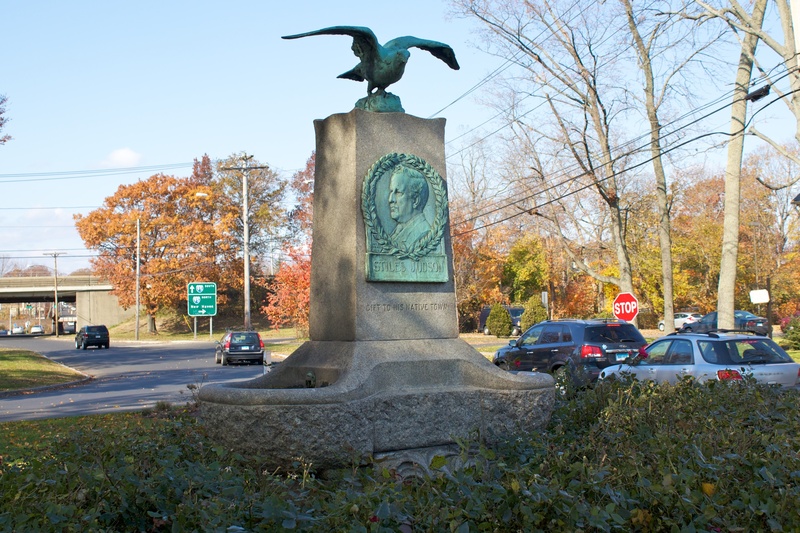 Previous PostPrevious Civil War Monuments of Connecticut – Buy the Book!